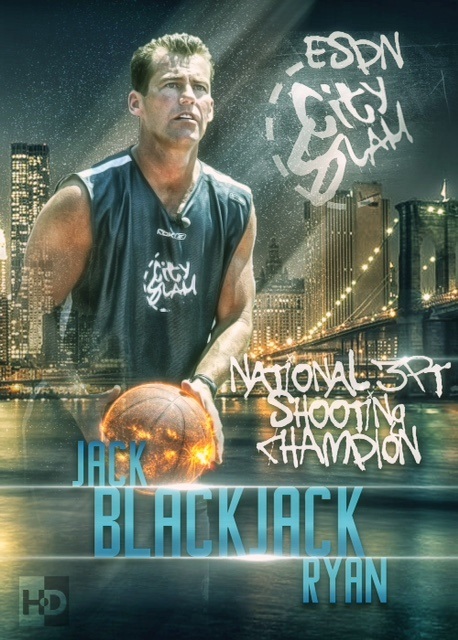 This feature length documentary follows the life of Jack “Black Jack” Ryan, one of the greatest Streetball Basketball players of all time. 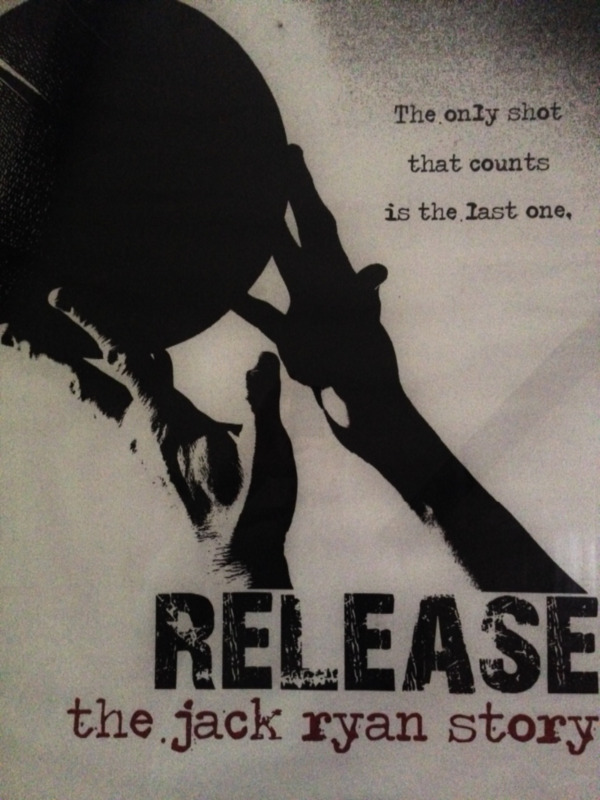 He was the national ESPN 3-point shooting champion and the first white player on the Harlem Wizards. NBA legend Chris Mullin once said that Ryan was the best shooter he’d ever seen who didn’t play in the NBA. The first time Rick Carlisle saw Jack Ryan, he was less than impressed. It was 13 years ago, in 1990, at a Nets rookie camp, when Carlisle, now head coach of the Indiana Pacers, was an assistant to Bill Fitch. 'He had been recommended, though he didn't have any real college-playing credentials -- but we gave him a shot,'' Carlisle recalled. ''He was older, 29 years old, just about six feet tall, and he looked like a California beach bum when he showed up. White guy, deep tan, long blond hair, mustache, big smile, a little overweight, not quite in shape. But it would not be a National Basketball Association career that Ryan would carve out for himself, nor one in college. During what may have been his most productive basketball years, in fact, he was hauling hundreds of pounds of fish in a hand truck at the Fulton Fish Market in Lower Manhattan. It was only later that he began to gather himself as a person, materializing first as the lead attraction on the otherwise all-black Harlem Wizards and then as the self-styled Hoop Wizard. He had seemed bent on throwing away his talent and even his life. ''He was headed for the gutter,'' his fiancée, Jennifer DiMaggio, said. Instead, at age 42, he has convincingly turned his life around. 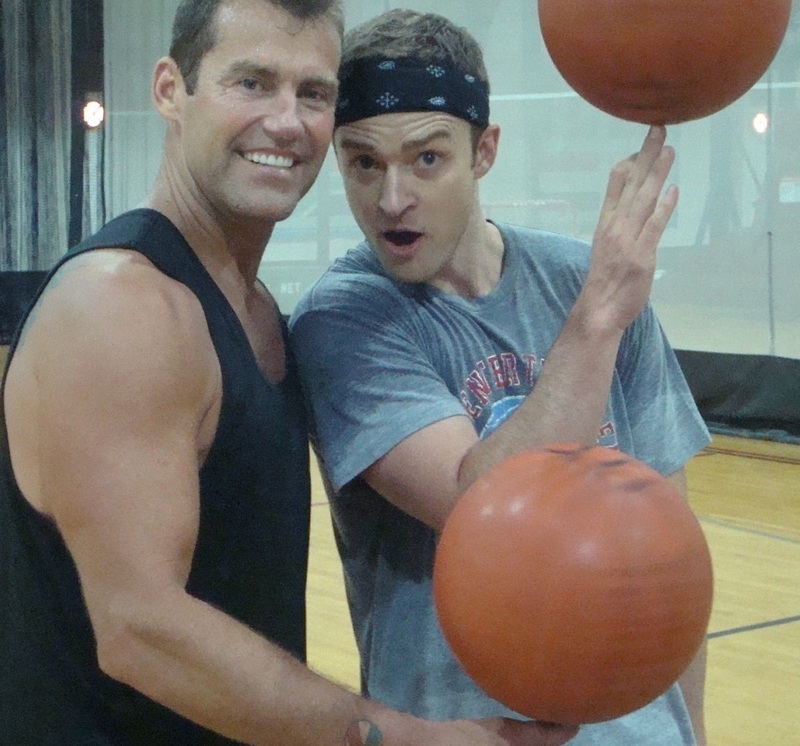 He performs magic with a basketball at children's parties, bar mitzvahs, summer clinics and charity events and at halftime of high school, college, N.B.A. and W.N.B.A. games. His next appearance at Madison Square Garden will be at the Holiday Festival on Dec. 28 and 29, spinning sometimes eight balls on his body and head simultaneously, drawing squeals of delight and then making as many as 20 straight shots from 3-point range. 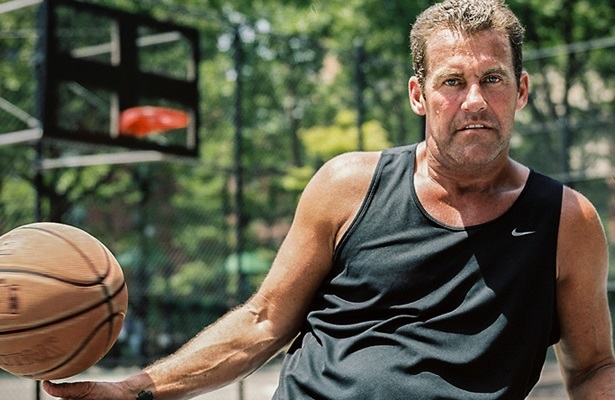 While in high school, Ryan became famous locally in street ball, joining that esoteric circle of New York City playground legends who get a limited but surely heady recognition that, in many cases, ends up without monetary reward. ''In my 35 years in basketball,'' said Pete Coakley, Ryan's coach at John Jay High School in Brooklyn, ''Jack was the best high school player I ever had -- one of the best I ever saw -- and the biggest disappointment. He was totally talented and totally wild. Today at youth events, Ryan, solidly built, looking as healthy as a model in an ad for milk, as committed to his work as a monk to his prayers, with that trademark big smile, will give a palatable lecture on doing the right thing: stay away from drugs and drink, stay in school, be a team player. ''Those were lessons I had to learn the hard way,'' he said. Ryan was raised in the Windsor Terrace section of Brooklyn, a heavily Irish area, and got to know the Mullins: Chris, who became an N.B.A. All-Star, and Terence, who also played at St. John's. 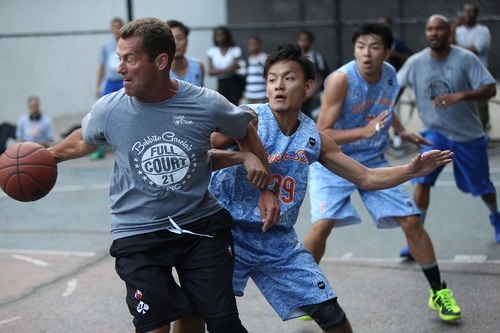 Coakley, Ryan's coach at John Jay, sought to get him a college scholarship. ''Loads of schools were interested, until they saw his grades,'' Coakley said. Ohio University took a gamble but insisted that Ryan first go to a junior college to get his grades in order. As Ryan recalls it, he enrolled at Lorain County Community College in Elyria, Ohio, and was swiftly thrown off the team for coming to practice drunk on Saturday morning. He returned to Brooklyn, to the playgrounds, and the fish market. His father, John Ryan Sr., a longshoreman, was disgusted with him. ''All this is going to come back and bite you,'' Jack recalls his father as saying. His mother, Susan, tried to be conciliatory, but she, too, despaired. An older brother, Randy, was a successful Wall Street trader, making Jack look all the more a disappointment. Ryan then enrolled at Brooklyn College, where he was spectacular in the first three games. Warned by the coach not to showboat, he showboated nonetheless, and was thrown off the team. Several years passed. He was playing lunchtime games at the Y.M.H.A. on East 14th Street in Manhattan with Peter Vecsey, basketball columnist for The New York Post. Vecsey, impressed, called Fitch and arranged the tryout for Ryan at the Nets rookie camp. Ryan was feeling the discomfort, and he soon went off on his own, calling himself Hoop Wizard and going so far as to set up a Web site, HoopWizard.com. He has been hugely successful. DiMaggio has taken him back, and they are expecting a baby in February. And Ryan gives the fans at his Hoop Wizard events their money's worth. After one performance, a nun approached him. Ryan was taken aback, but immediately called to tell his mother. ''My mother was so proud,'' Ryan said. ''And when she died, my sister Suzanne, in her eulogy, told that story about the nun and my mother. Some people had tears in their eyes. No one in my family, or anyone else, including me, ever thought I'd come to this.